Maze 24 at mazecheese.com is another interactive maze game where you move the mouse around and try to eat all the cheese before the timer ticks down. 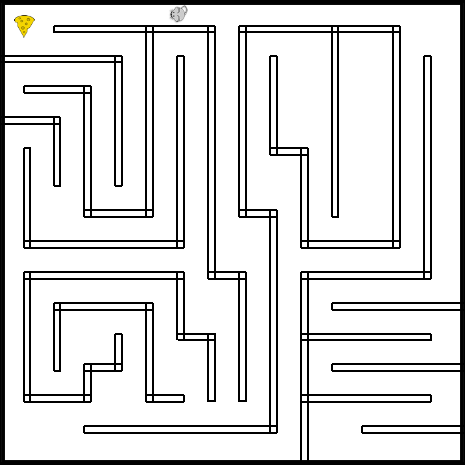 In this maze, only one piece of cheese is shown at a time. When the mouse eats one piece, the next one is displayed somewhere in the maze. All 15 pieces of cheese are located in fixed places. They will be the same every time you play, so the challenge becomes how to create a pattern that moves through the maze fast enough. Like the other games, the trick with the touch screen is to let the mouse move with a tap, slide and hold in any location on the puzzle. Keyboards work great using the direction keys. 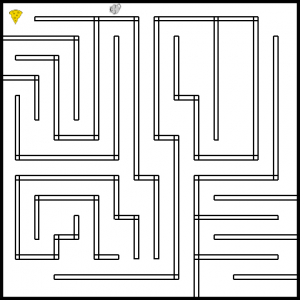 The maze is found on mazecheese.com at Maze 24.